I don’t claim to be an expert with search engine optimisation (SEO). I’m very interested in the design and aesthetics of the Web and new media, but not really very interested in the fiddly geeky works of SEO. So it is with complete ignorance on my part that miLienzo.com has been blacklisted by Google. In actual fact, I exaggerate. I haven’t been blacklisted as such, but my pages are being filtered out of Google’s search results due to duplicate content. Google states in its quality guidelines not to create multiple pages with substantially duplicate content. But I haven’t – each of my blog posts are unique and the result of hour upon hour of researching, writing and linking. So why am I being punished? What’s going on? Your homepage – if you don’t use excerpts then your homepage duplicates the entire content of your posts. Categories/archives – your category pages just duplicate the content of all posts in that category, and you archives duplicate all your entries posted in that week or month. If you use some kind of tag plugin (like this one), then your tag pages are further duplication of your posts. Feeds – search engines spider your feeds too, which duplicates your content further. So, taking all this into account, for every blog post I make, it can be duplicated more than five times – sometimes much more if you use lots of tags. Now I begin to see why Google is punishing me. So what’s the consequence? Well, no-one comes to miLienzo.com through Google. I’ve run a few sites over the years and Google has always given me about 90 per cent of search engine traffic, and sometimes over three quarters of all traffic. When Google filters you, you notice the difference. Fear not though, there are ways to make WordPress search engine friendly. I’m not going to post a detailed technical ‘how to’ but I strongly recommend all WordPress users take a look at this excellent article on SEO Marketing Research. So I’ve now implemented these changes and we’re apparently a Google-friendly site. However, I’m still being filtered and further research indicates that recovery can take anything up to six months. Suppose I’d better get used to the cobwebs. For me this isn’t too much of a problem really. 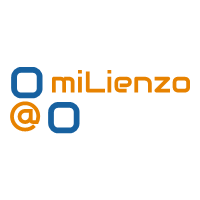 This blog is more of a personal thing – there are no ads on miLienzo.com, I’m not doing this for money, I’m more interested in learning new skills, connecting with people and getting exposure. Having no Google traffic does have a dramatic impact on overall numbers but there are better channels through which to get a more lasting and ‘personal’ visitor. What annoys me though is the power Google wields. Duplicate content isn’t proving a problem with other search engines, but the amount of traffic I receive through Yahoo! and MSN is so insignificant it’s barely worth mentioning. It truly is all about Google, and suddenly the Internet is not the free, fair and open platform that it should be, but a platform increasingly being controlled by one increasingly giant corporation.